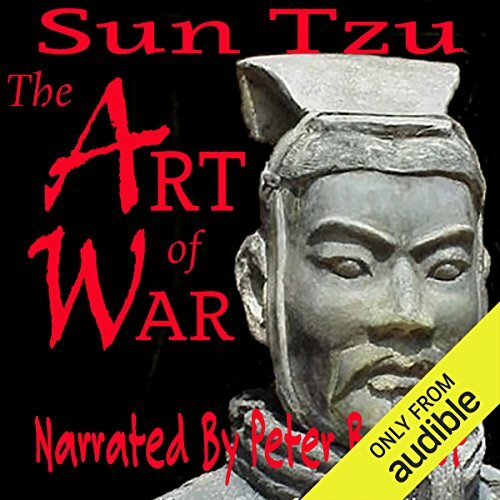 Peter Berkrot, professional actor-narrator, has absolutely nailed this reading of The Art of War by Sun Tzu. There is just the right amount of sinister authority in Peter's voice to make Sun Tzu's points very effectively. The wisdom of Sun Tzu has been available for over 2,000 years and ignored or studied by many. Those who have studied and put Sun Tzu's teachings into action, be it a CEO of a corporation or Ho Chi Minh, have typically emerged as winners and those who ignored them the losers. As a platoon leader in Vietnam, I, like many of our leaders, was unaware of his teachings. I am permanently disabled; my replacement, also unaware, was KIA two months later. The audiobook and the cover are dedicated to those who served and serve. Peter Berkrot is the perfect narrator for this short text that provided guidance to warriors and winners for over 2000 years. It is definitely not better than the print version, but that is only a person preference. The supreme are of war is to subdue the enemy without fighting. Well read book, was easy to follow in audio form. The narrator did well enough not to become a distraction but an asset to learning while on the go.